FARMINGTON HILLS, Mich. and IOWA CITY, Iowa, April 8, 2019 /PRNewswire/ -- The University of Iowa Carver College of Medicine has seen improvements in student engagement and exam performance from using 3D interactive learning tools. 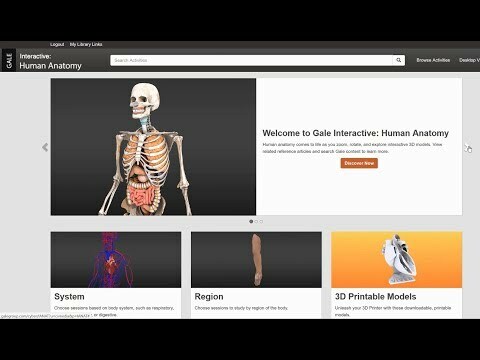 The university is using Gale Interactive: Human Anatomy from Gale, a Cengage company, to conduct virtual 3D exploration. Now students and instructors can interactively explore anatomy from every angle, streamlining lectures and lab work that fosters an active learning environment improving student outcomes. Read the blog post from one of the university's assistant professors about how he's using Gale Interactive: Human Anatomy for teaching.